Welcome to OC Heat VBC! We are so glad you are joining us!If you already have a OC Heat account, please login above to register for indoor programs. If you want to enroll multiple students, you can do this on one form. PLEASE USE YOUR BILLING ADDRESS. Please click on the search button below to choose a class. NOTE: This form must be read and signed before the Volleyball player, parent or observer listed below is allowed to take part in any training, competition, practice, warm-up sessions, meeting or testing sessions. I, THE PARTICIPANT, PARENT OR GUARDIAN AFFIRM THAT I AM EIGHTEEN (18) YEARS OF AGE OR OLDER, HAVE READ THIS DOCUMENT AND I UNDERSTAND ITS CONTENTS. I acknowledge that volleyball or any sporting event in an extreme test of a person's physical and mental limits and carries with it the potential for death, serious injury or property loss. With a full understanding of the potential risks, I HEREBY ASSUME THE RISK OF PARTICIPATING IN OR OFFICIATING A VOLLEYBALL EVENT. I hereby take the following action for myself, my executors, administrators, heirs, next of kin, successors and assigns: a) I waive, release and discharge from any and all claims or liabilities for death or personal injury or damages of any kind, except that which is a result of gross negligence and/or wanton misconduct of personal or entities listed below, which arise out of or are related to my participation in, or my traveling to and from the volleyball event, the following persons or entities: OC HEAT VOLLEYBALL (OCHVBC), Tustin Unified School District (TUSD), their coaches and assistants, the tournament director, sponsors; and the officers, directors, employees, representatives, and agents of any of the above; b) I agree not to sue any of the persons or entities mentioned above for any of the claims or liabilities that have waived, released or discharged herein; c) I indemnify and hold harmless the persons or entities mentioned above from any claims made or liabilities assessed against them as a result of my actions. This agreement is legally binding. If any aspect of this agreement requires clarification, have a OCHVBC Director fully explain, before signing. In signing this document, you are waiving the right to bring a court action to recover compensation or obtain any other remedy for any personal injuries, damage to property, accident of any kind arising out of use, supervised or unsupervised, of the TUSD facilities, equipment, participation in classes, or activities sponsored by the OCHVBC and/or TUSD. I hereby, agree to release, indemnify and hold harmless the landlord of OCHVBC, any persons who have designed, manufactured, or installed the facilities, or equipment at TUSD Gyms. I agree to release, indemnify and hold harmless all persons at OCHVBC and TUSD, officers, agents, employees, volunteer assistants, other players, visitors, coaches, assistants or persons who may be present, from any cause of action, clams, or demands whatsoever. This agreement is binding even if the released persons have contributed to injuries through their individual or collective negligence. This agreement is binding on myself, my heirs, next of kin, assigns, and personal representatives. I have been warned and am aware of these and numerous other inherent risks in using the TUSD Gym facilities, and equipment. I fully and voluntarily assume complete responsibility for those risks and for the injuries that may occur as a result of those risks, even if injuries occur in a manner that is not foreseeable at the time I sign this agreement. In consideration of participating in OCHVBC and/or using TUSD GYMS, I, the undersigned, agree to release all from liability, discharge, and promise not to sue. If participant is eighteen years of age or over, my electronic signature below indicates I have read the above. If participant is under eighteen years of age, a parent or guardian release is required. I understand this waiver authorizes the below named youth to participate in activities at OCHVBC and/or TUSD GYMS, possibly without my presence at the facility. As the legal parent or guardian, I am electronically signing this release on behalf of that minor. 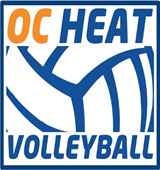 The undersigned gives permission to OC Heat Volleyball, its owners and operators to seek medical treatment for the participant in the event they are not able to reach a parent or guardian. I hereby declare any physical/mental problems, restictions, or condition and/or declare the participant to be in good physical and mental health. Please refer to web-site for program specific fees and pricing. OC HEAT: Monthly fee will be determined by the level of participation. NATIONAL OR ELITE. Enrollment & Tuition begins immediately upon registering. Initial month's tuition may be prorated based on the date of registration. All subsequent monthly fees and tuition collected in advance, on the first of each month through an automatic debit from a credit or debit card on file. No refunds for cancellation requests, not received 10 days before billing. Any fees paid towards uniforms, tournaments or travel will not be refunded. I hereby agree, that by my child participating in OC Heat events, I give permission to OC Heat VBC to take volleyball pictures of my child and for OC Heat to use them on there website, social media or advertising.